Nels Potter was a pitcher of the mid-20th century who spent 12 years in Major League Baseball. His best season came in 1944, wartime in America, when he finished ninth in the AL MVP voting with a 19-7 record and 2.83 ERA, which helped propel the St. Louis Browns to the AL pennant. This Browns jersey was game worn by Potter during the 1946 season. 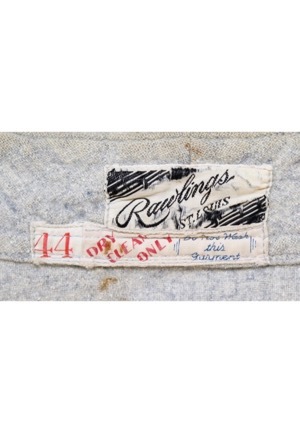 In the rear collar is the Rawlings manufacturer’s tag. Adjacent below is a box tag with the jersey size “44” and a strip tag with washing instructions. 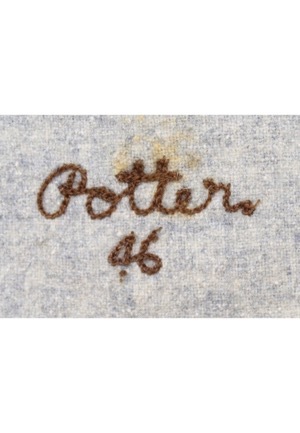 On the front left tail reads “Potter 46” embroidered in brown chain stitching. Across the front reads “St. 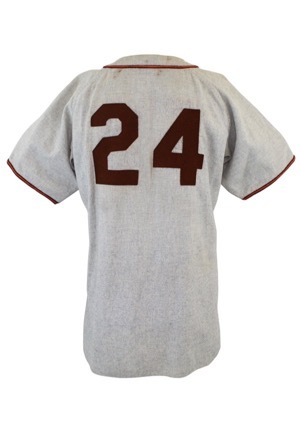 Louis and across the back is the player number “24”. 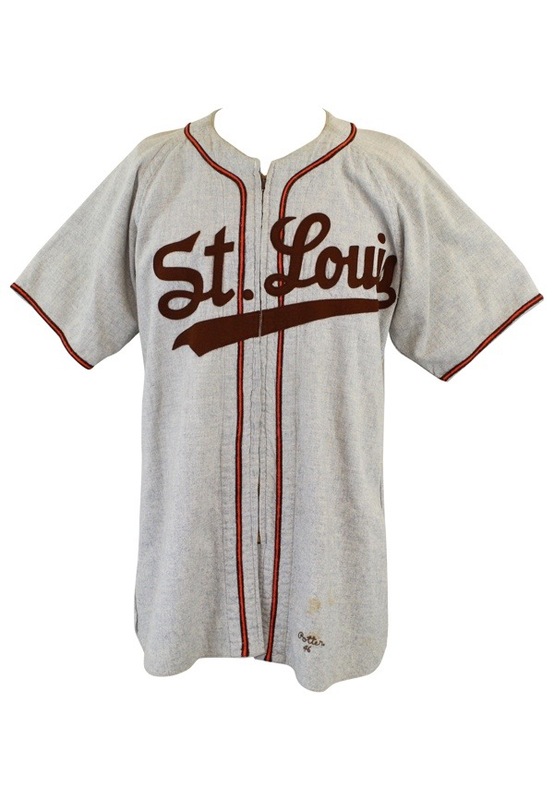 Both the front and back have been incorrectly restored to read St. Louis and only in one color. There are repairs and staining throughout the jersey. This jersey is properly tagged, was presented to us as game-used and shows outstanding use with extended organizational use.